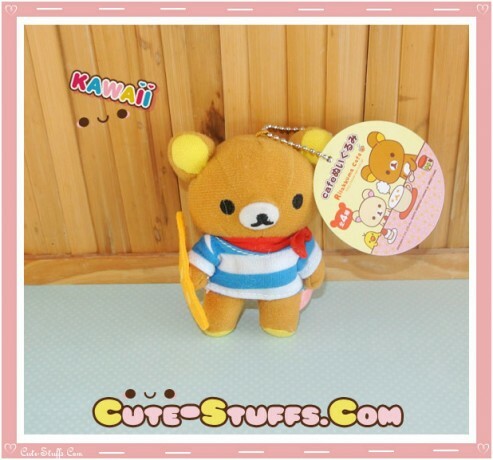 Large Rilakkuma Cafe Series Plush Blue Baguette Keychain ♥ Cute-Stuffs.com! ♥ Kawaii Shop - Phone Straps, Charms, Dust Plugs & More! SOFT & SQUEEZABLE RILAKKUMA PLUSHIE WOULD LOVE YOU TO TAKE HIM HOME! This soft and squeezable Rilakkuma plushie would love you to take him home today! He is officially San-X licensed and part of the rare Rilakkuma character series. Keep him at home for cuddling, or take him with you on your purse, backpack, or even a keychain - he's small enough to be portable but big enough to snuggle! He is about 6 inches tall, with a cute french baguette! 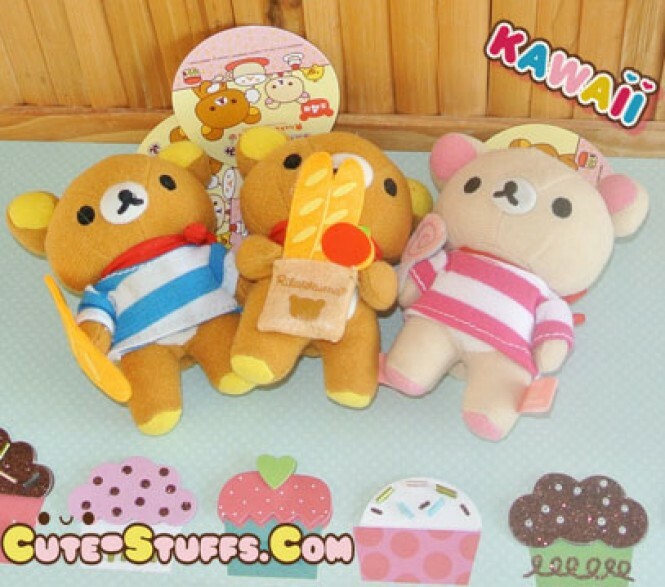 We have 3 other plushies available from the Rilakkuma Café series - Rilakkuma with Scarf & Groceries, and rilakkuma with baguette, and korilakkuma with a lollipop! Collect them all or share with your friends and family!